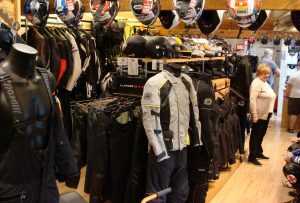 Trying to find motorcycle clothing that fits well can be a real struggle. Nobody wants ill fitting gear, making you worry if armour will remain in position in an off or just looking naff. I’m fairly tall and slim, so finding trousers long enough in leg and with slim enough waist is not easy. 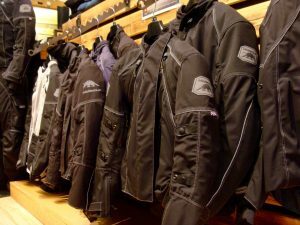 My wife is somewhat the opposite and similarly finds it tough to hunt down gear short enough – it’s not so easy to turn up leathers. This is where Hideout Leathers really corners the market. 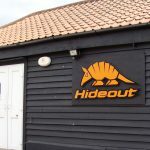 Tucked away in the Essex countryside a short distance from Saffron Walden, Hideout Leathers have a small store and workshop, where they sell many decent brands off the peg from the likes of Rukka, Dane, Halvarssons and Lindstands. But uniquely they offer their own tailor made motorcycle gear and alteration service. 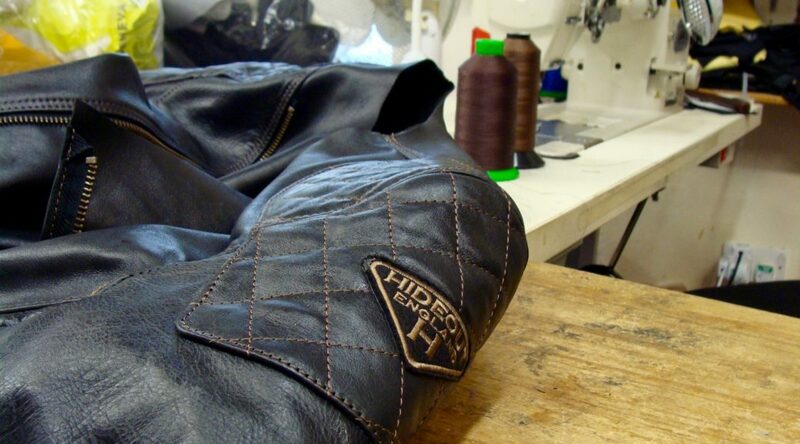 Their workshop and the highly skilled leather workers and machinists are where Hideout really excel. Able to repair and alter your old most loved items, and create high quality and advanced gear up there with the best. 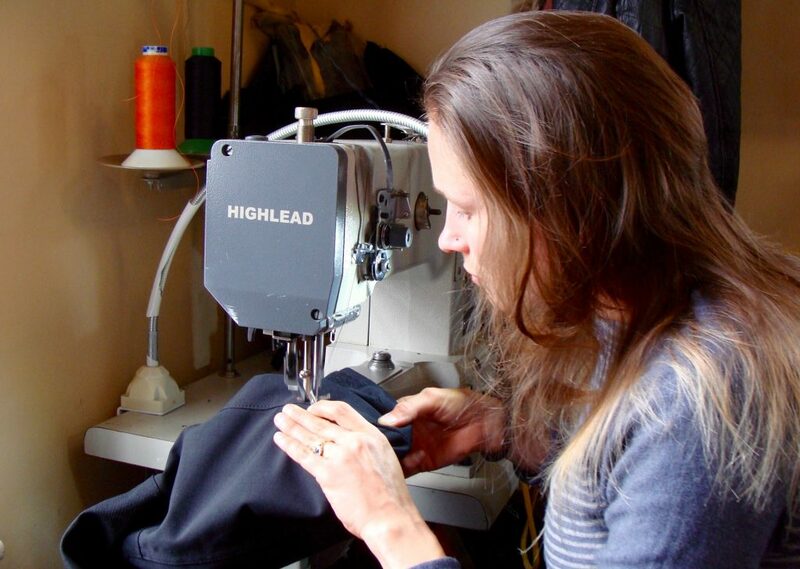 They are passionate about their work and pride themselves on ensuring every customer is kitted out with great looking clothing that will protect them well on the road or track. Originally producing custom leathers in all manner of styles from classic biker through to full on race outfits. Over the years they’ve protected many, all the way from Tom Cruise in Mission Impossible, the Police and other emergency services, disabled riders to John Holden and the Barnes sidecar racing team you may have seen at the Isle of Man TT. Hideout also offer their own high end textiles under the Hi Pro brand, featuring top quality abrasive protection and a high tech breathable laminate waterproofing. Something of particular interest to me as year round commuter whatever the weather. 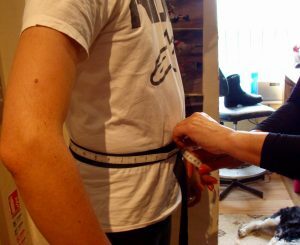 Which brings me up to last weekend when I visited Hideout to be measured up for a pair of trousers I have been offered to review. Definitely an exciting prospect to get some quality gear that fits perfectly and keeps out the great British weather without getting sodden. For the fitting I was given some leggings to don to protect my modesty (I wasn’t wearing any base layers), then I had all my vital measurements taken. With special attention given to account for my motorbike boots the trousers need to go over and my inside leg length with knees bent as though on a motorcycle. There were many options to choose from on the trousers, whether I want armour (yes), thermal liner (yes), vents (skipped), colour (black) and make of waist joining zip. The last is great if you intend to mix and match your gear. Now I just wait for the skilled Hideout crafters to do their job. On average expect 6-8 weeks for a leather suit, 10 weeks for textile due to additional complexity of construction. A test fitting is planned halfway to double check measurements and finalise any last minute tweaks. Watch this space to follow the progress and find out my review of the finished product.